These days it seems everyone has a digital camera and we're all taking pictures. Not only is that a lot of pictures, but it's a lot of different image formats. With so many different image types, there's no guarantee that you will have what you need to open and view every image. As a result, it’s sometimes useful to save files in a universally readable format -- like PDF. 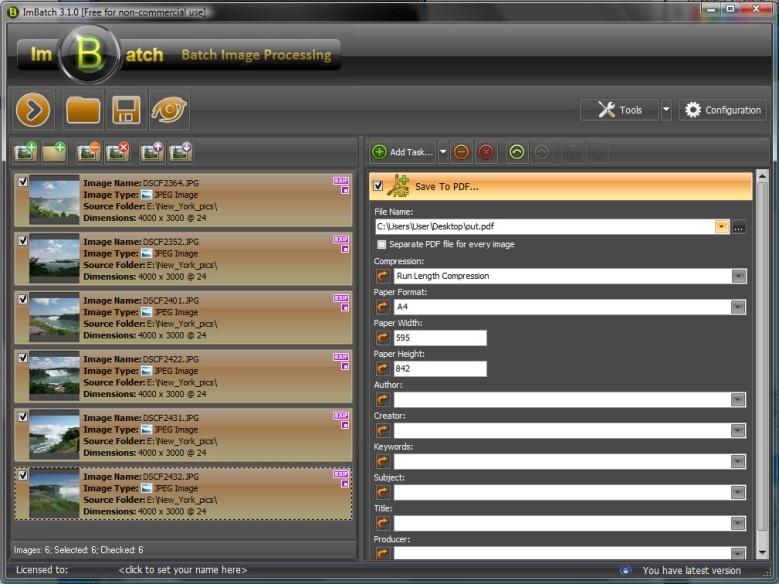 The ImBatch can help you combine multiple files into a single PDF. This can save you space making your images easier to share and store. To start, open your ImBatch program. Once all images are loaded into the work space, highlight all images to indicate that the combine to PDF should be applied to all images. With the topmost image highlighted, hold your shift button. Next, with shift still held down, hover your mouse cursor over the bottom most image and left-click. This will highlight every image between the first and last. 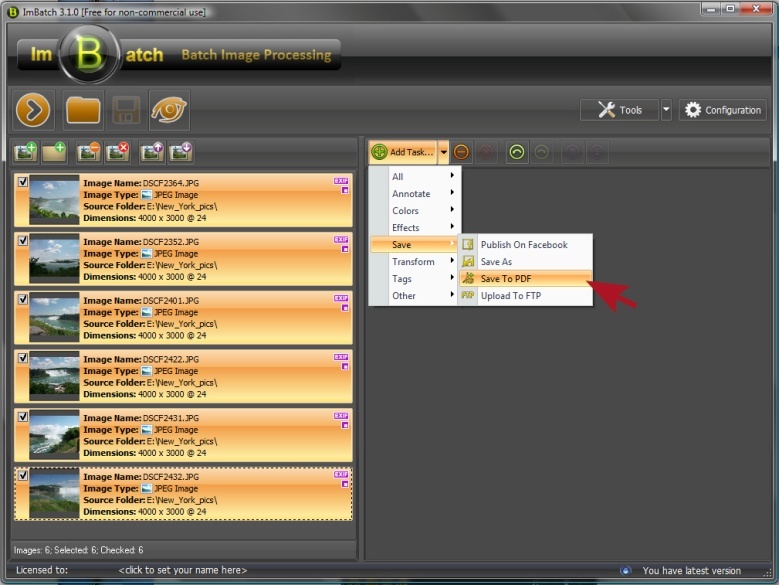 In order to combine multiple images into a single PDF, first click the Add Task button and select Save followed by Save to PDF. Next you'll see a variety of options that are each designed to help you further define the details and properties of your soon-to-be PDF. 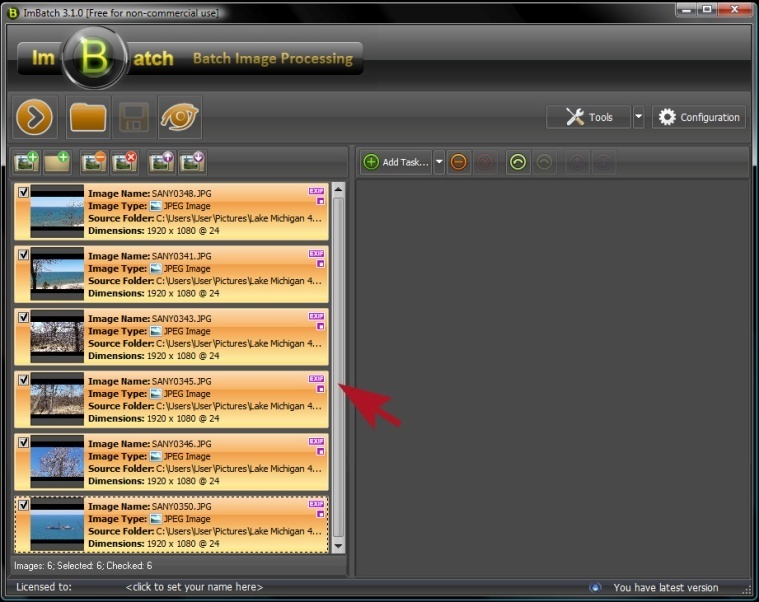 After you're finished click the Run batch image processing icon located in the top left toolbar. If you are looking for a more fliexible PDF combining tool, we recommend you to try PDF Combine by Coolutils.